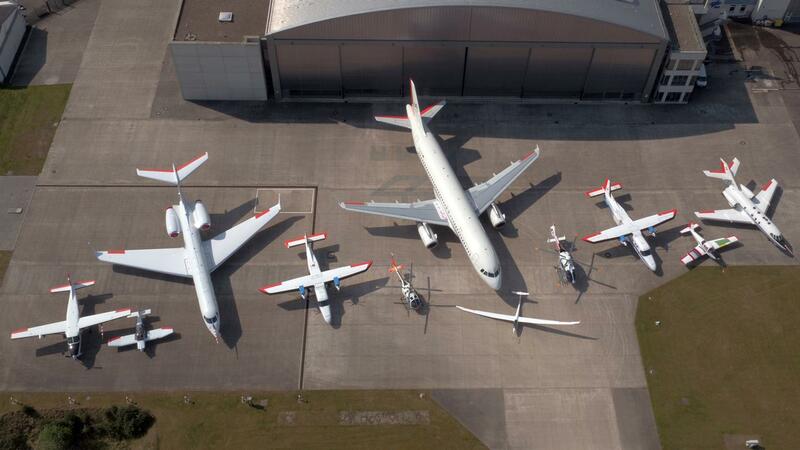 From the modified passenger jet A320 ATRA to the high-tech glider Discus-2c, 11 aircraft and helicopters fly for DLR. Acquiring high-resolution images of Earth's entire landmass twice a week will be among the capabilities of the radar satellites on a future Tandem-L mission. In this way, Tandem-L would provide the opportunity to capture the dynamic behaviour of Earth in 3D and almost in real time. The German-French MERLIN satellite will measure the methane concentration in Earth's atmosphere from 2021. MERLIN is based on the new satellite bus 'Myriade Evolutions' developed by CNES together with the French aerospace industry. The satellite payload - a so-called LIDAR (LIght Detection And Ranging) instrument, which can also conduct measurements at night and through thin clouds, is being developed and constructed in Germany on behalf of the DLR Space Administration, funded by the Federal Ministry for Economic Affairs and Energy (BMWi). The core part of the instrument is a laser, which can send out light pulses on two different wavelengths and thus measure the methane concentration at all latitudes with great precision regardless of sunlight. 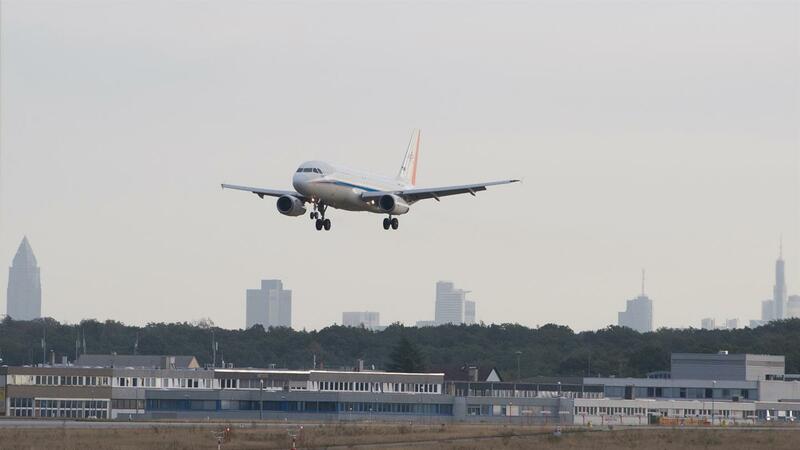 In November, softer landing approaches as a result of a newly developed pilot assistance system were tested in Frankfurt, using the A320 ATRA (Advanced Technology Research Aircraft) research aircraft. The Japanese space agency JAXA will send in 2014 the German landing craft Mobile Asteroid Surface Scout (MASCOT) to asteroid 1999 JU 3 on board the Japanese orbiter Hayabusa 2. A stable, yet extremely light cover will protect the shoe box-sized lander as it falls to the asteroid's surface. 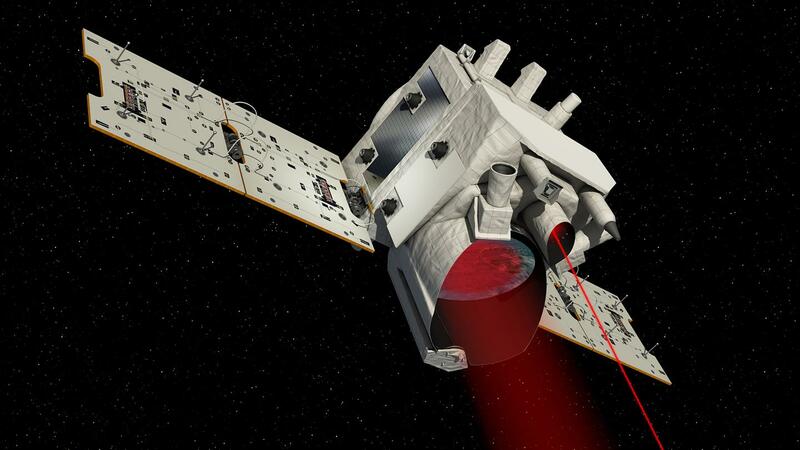 The four instruments designed to conduct in situ measurements on the asteroid are located inside the DLR landing craft: the French infrared spectrometer that will analyse the surface composition and a magnetometer from TU Braunschweig to investigate the magnetic field. 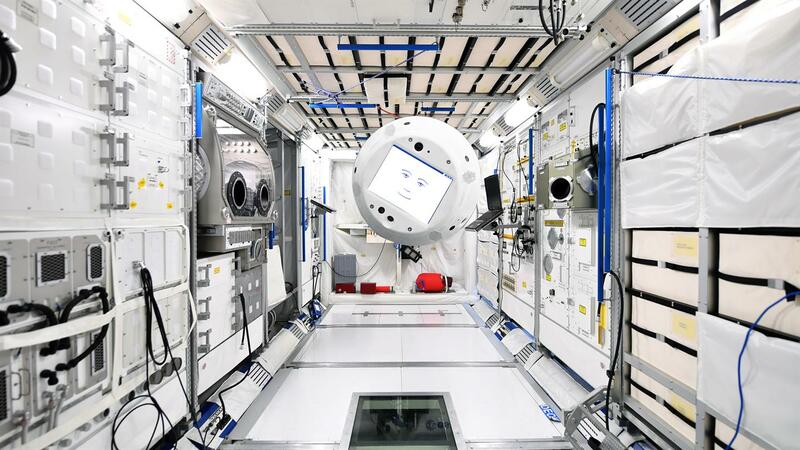 Composite image of CIMON floating in the Columbus Public Relations Module at ESA’s European Astronaut Centre (EAC) in Cologne-Porz (30 January 2018). CIMON is a flying and autonomous astronaut assistant. Equipped with artificial intelligence, this unique technology demonstrator will support the work of astronauts on the ISS during German ESA astronaut Alexander Gerst’s Horizons mission in the summer of 2018. An unmanned aircraft carrying about one ton of payload should be able to deliver, for example, humanitarian goods over a distance of up to 600 kilometres. Project ALAADY (Automated Low Altitude Air Delivery) aims at conducting the first test flights with drones at the end of 2017. Only the winter crew now remain at the Neumayer III station operated by the Alfred Wegener Institute (AWI) - including Paul Zabel, a DLR scientist. He will look after the DLR EDEN ISS greenhouse and provide the crew with fresh food until the end of 2018. 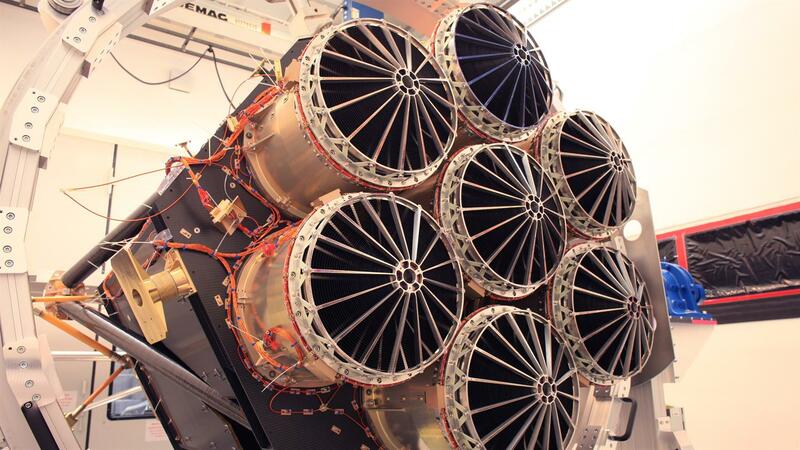 The seven identical, parallel-aligned mirror modules of the eROSITA space telescope collect high-energy photons and converge these to X-ray cameras. The instrument is expected to discover around 100,000 new galaxy clusters during its mission. The German Aerospace Center (Deutsches Zentrum für Luft- und Raumfahrt; DLR) will present its latest projects and research results at the ILA Berlin Air Show from 25 to 29 April 2018. Again one of the largest institutional exhibitors in 2018, DLR will provide fascinating insights into its current research on an approximately 700-square-metre stand in Hall 4, in the Space Pavilion, on the stand of the Federal Ministry for Economic Affairs and Energy (BMWi) in Hall 2, and at the ILA CareerCenter in Hall 1. DLR will also use the outdoor area at ILA to showcase a large part of its research fleet – with various helicopters and aircraft – including its largest fleet member, the A320 ATRA, as well as a variety of experimental aircraft for uncrewed flight. "At ILA Berlin 2018, the leading trade fair for innovations in the aerospace industry, DLR is presenting forward-looking topics that provide solutions to the most urgent challenges facing society, such as climate change, digitalisation and Industry 4.0 – using the innovative power of the aerospace industry," explains Pascale Ehrenfreund, Chair of the DLR Executive Board. "ILA is the ideal venue for this, and the increased focus on science and research offers DLR excellent opportunities to maintain and continue expanding its wide network of international collaborations with the scientific and business communities." DLR will report daily from ILA on Twitter and Facebook. The two DLR press conferences (25 April at 10:00 and 26 April at 10:00) will be broadcast live on the social media platform Youtube. As the operator of Europe's largest fleet of civilian research aircraft, DLR will use the outdoor area at ILA to exhibit four research aircraft and two research helicopters. Acting as test platforms, the highly modified aircraft are themselves the subject of aviation research or are used as platforms for scientific research. Their applications extend from the testing of new aeronautics technologies through Earth and ocean observation to atmospheric research. DLR will showcase the largest member of its fleet, the Advanced Technology Research Aircraft – an Airbus A320 232 with the registration D ATRA. This aircraft offers aviation researchers and cooperation partners from the European aviation sector a broad variety of opportunities for advanced development of aircraft in the areas of aerodynamics, avionics, engine concepts and cabin comfort. Designed as an airborne laboratory, the Dassault Falcon 20E is used for global atmospheric and climate research, while the Dornier Do 228 212 D CFFU is primarily used as a platform to carry radar and optical sensors for Earth observation. In contrast, the Cessna 208B Grand Caravan acts as DLR's 'flying lecture theatre'. Visitors will also be able to inspect the Eurocopter BO 105 research helicopter, which takes to the sky for research into low-noise approach profiles, pilot assistance systems and flying with external loads. Also on show is the Eurocopter EC 135 Flying Helicopter Simulator (FHS), which provides a unique opportunity for the real-life testing of innovative guidance and control systems. DLR will present numerous innovative exhibits for the future of aviation at its stand in Hall 4. They include developments for the uncrewed transport of air cargo such as the UFO (Unmanned Freight Operations) project, in which DLR has developed solutions for the integration of these aircraft into current air traffic systems. Alternative fuels like those recently analysed in a joint research campaign conducted by DLR and NASA offer significant potential for more environment friendly air transport. Visitors to the DLR stand can see an original instrument rack used in the flight campaign and will be able to witness a live demonstration of burning standard kerosene, with its significantly higher soot emissions, compared to a synthetically optimised fuel. 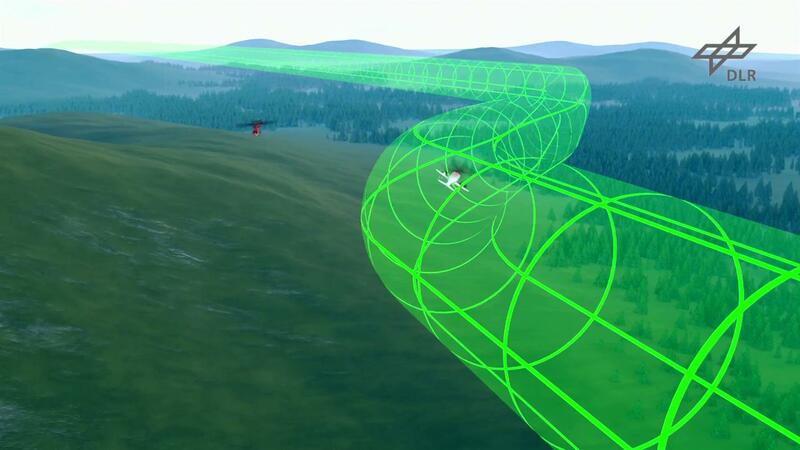 DLR researchers have developed the Low Noise Augmentation System (LNAS), which provides pilots with assistance in order to reduce the in-flight noise produced by aircraft. Visitors to the stand will have ample opportunity to ask questions about the necessary adjustments and control settings with which the system ensures noise-optimised landing approaches, as have already been tested at Frankfurt Airport. In addition, the stand will also feature a model showing research into a quiet engine with noise reduction based on active noise control using compressed air injection. DLR will also showcase its research in the fields of Earth observation, suborbital hypersonic transport and space exploration at its stand in Hall 4. The innovative Tandem-L concept for global, radar-based environmental and climate monitoring will be presented to visitors alongside the Franco-German Methane Remote Sensing Lidar Mission (MERLIN), which is designed for the global mapping of the greenhouse gas methane. Also on show will be a model of the SpaceLiner, a visionary concept for a suborbital, hypersonic fixed-wing passenger aircraft that can also be modified to be used as an uncrewed, reusable launch vehicle for the cost-effective launching of satellites into orbit. The humanoid robot TORO will demonstrate its mobility to visitors. 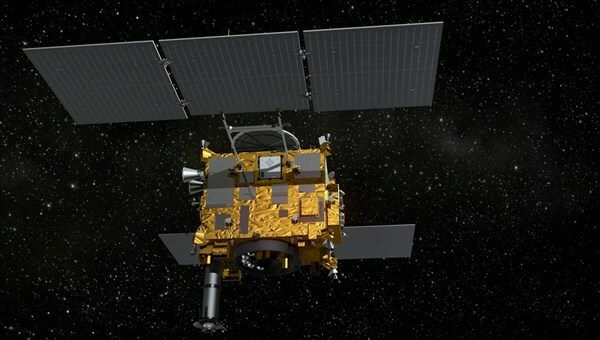 DLR will also join with its partners from the Japanese and French space agencies, the Japan Aerospace Exploration Agency (JAXA) and the Centre national d'études spatiales (CNES), to present the asteroid mission Hayabusa 2 with a 1:1 model of the spacecraft and the Mobile Asteroid Surface Scout (MASCOT) lander that it is carrying. MASCOT will touch down on the Ryugu asteroid in October 2018 and then 'hop' across its surface. At the stand of the Federal Ministry for Economic Affairs and Energy (Bundesministerium für Wirtschaft und Energie; BMWi), DLR will show a model of an experimental space surveillance radar, the German Experimental Space Surveillance and Tracking Radar (GESTRA). In future, this system will be able to identify and catalogue debris and other objects in space. In addition, the DLR exhibition at the ILA CareerCenter will offer young scientists the unique experience of a virtual spacewalk along the outer shell of the International Space Station (ISS). DLR will present more than 20 topics in the Space Pavilion, which is also in Hall 4. The immense range of space themes on show demonstrates the diversity of scientific and research projects on the operation and infrastructure of space applications, while also testifying to the support of industry and the German contribution to the European Space Agency (ESA). Visitors can learn how space makes a clear contribution to improving the quality of life on Earth, for instance in the essential work of Earth observation satellites like the Environmental Mapping and Analysis Programme (EnMAP) in the area of environmental and climate protection. They will also see why and how space derives new knowledge from missions like the 'extended ROentgen Survey with an Imaging Telescope Array' (eROSITA). Scheduled for launch on 6 June 2018, the 'horizons' mission of German ESA astronaut Alexander Gerst is exemplary of these and similar benefits. DLR will use its exhibition in the Space Pavilion to provide information about the mission and its scheduled experiments, including the astronaut assistant CIMON. Designed to investigate the possibility of deploying robotic swarms to explore planets and oceans, the space robots from the ARCHES project are certain to impress visitors, as will the exhibition about the Antarctic greenhouse EDEN ISS, which is currently in Antarctica to cultivate food, the gained knowledge of which will supply future missions to the Moon and Mars with fresh produce. DLR's Berlin-based planetary researchers are presenting their BepiColombo Laser Altimeter (BELA) and MErcury Radiometer and Thermal infrared Imaging Spectrometer (MERTIS) experiments, which will be carried as part of the instrument payload on the European/Japanese BepiColombo mission to Mercury, as well as the 'Heat Flow and Physical Properties Package' (HP3), which will set off for the Red Planet as part of NASA's InSight mission. The partners at the Space Pavilion are DLR, ESA, the German Aerospace Industries Association (Bundesverband der Deutschen Luft- und Raumfahrtindustrie; BDLI) and BMWi. The ILA Space Day will take place in the Space Pavilion on 25 and 26 April 2018, and will feature numerous talks and discussions. ILA Astronaut's Day on 27 April 2018 is open to the public. The panel will include the German astronauts Hans Schlegel and Ulrich Walter, as well as their US colleagues Tom Henricks, Jerry Ross and Bernard A. Harris, who worked together 25 years ago – in 1993 – during the German D2 mission. DLR will also stage a Science Show for visitors of all ages in the Space Pavilion between 13:00 and 15:00 on 28 April 2018. Among the guests will be the German ESA astronaut Matthias Maurer. More information on the DLR presence at ILA Berlin and on all DLR’s exhibits can be found here.